« Thank heavens for little girls! Hanging out for Holidays? Get Hung up on Holidays! I was asked recently by a group of regular customers to create a collection of cards made from the stamp set Hung up on Holidays. 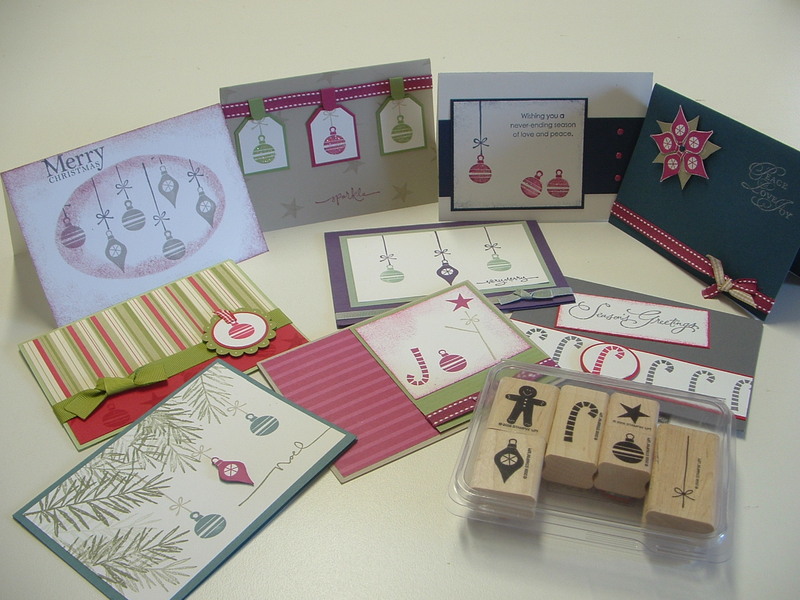 It’s a set of 6 Christmas stamps and only $29.95. This is a section of the cards that I created. “Hung up on Holidays” really is great value. If you would like to see how to make these cards and more, contact me now and we can arrange a time for just yourself or a group to see how versatile this set is.